In 2010 a major UK mortgage lender refused to lend on a property affected by Japanese knotweed. This has since resulted in all UK mortgage lenders adding Japanese knotweed to their property lending risk policies. This means that if a property is affected by Japanese knotweed a lender will have a set of criteria that need to be met for dealing with the knotweed before lending can be provided. 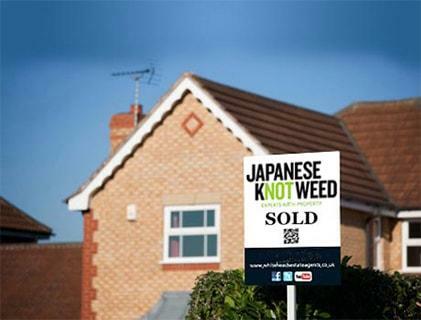 There have been reports in the media that house sales have fallen through, or a re-mortgage has been turned down because of the presence of Japanese knotweed. While some of these aspects are true, it is clear that the media can be guilty of sensationalising these stories. The first step in assessing if a property is affected by Japanese knotweed is commissioning a Japanese Knotweed Survey. Following the survey you will be provided a Knotweed Management Plan which details the findings, defines any knotweed problem and presents a resolution. How is a property affected by Japanese knotweed? A property is deemed as being affected by Japanese knotweed if knotweed is recorded as growing within 7m of the boundary of the subject property. A small minority of lenders do take into consideration knotweed recorded at distances of greater then 7m but this is less common. Japanese knotweed is causing serious damage to outbuildings, associated structures, drains, paths, boundary walls and fences and so on. Japanese knotweed is on lenders risk policies as properties affected by knotweed can see a diminution in property value. Knotweed results in a ‘Loss of Quiet Enjoyment’; the right to enjoys ones property and dispose of it at its true market value. In some rare cases Japanese knotweed can also present a structural risk. Lenders generally want to see a commitment by the owner of the property to fund, in advance, a long term treatment programme effective against Japanese knotweed, or the cost for the Japanese Knotweed-infested soils to be excavated and removed from site. Generally lenders also want to see remedial works backed by a 5-10 year Insurance Backed Guarantee policy. The initial step is obtaining a specialist Japanese knotweed survey. Japanese Knotweed Ltd will undertake a survey and off the back of this provide the client a Knotweed Management Plan (KMP) document. The KMP will include the survey findings, knotweed risk assessment, recommendations for the remedial action and quotation for remedial works. The KMP document is a wording document and will house records of the remedial works undertaken as well as copy of any Guarantee. Most lenders require assurance that the Japanese knotweed will not be allowed to spread and cause structural damage to the property and will want the Japanese knotweed problem to be managed by a professional company, such as Japanese Knotweed Ltd (a PCA member). Japanese Knotweed Ltd KMPs allow for the long term herbicide treatment of Japanese knotweed or instant eradication by way of excavation. Works will be covered by a Company Guarantee and a PCA Member Company will be able to provide guarantee insurance as well (i.e. an Insurance Backed Guarantee). Japanese knotweed is a non-native invasive plant governed by UK legislation. Therefore it’s a nuisance and having it on or near your property can result in a diminution in property value. Having knotweed on your property and/or allowing it to spread to neighbouring properties can leave you exposed to claims of private nuisance. However the stories of knotweed spreading rapidly are not always true and the rapid spread of knotweed is usually caused by human disturbance. It is also true to advise that the cases of knotweed causing structural damage are relatively rare, and no more common than damage caused by other woody plants such as trees, buddleia etc. Japanese knotweed is a problem to property and its owners and owners are advised to have knotweed treated by a specialist contractor as soon as it is detected. If buying a property affected by knotweed the buyer should ensure that treatment is or has been delivered by a knotweed specialist and ideally that they are (or can) provide an Insurance Backed Guarantee, such as those provided by Japanese Knotweed Ltd. 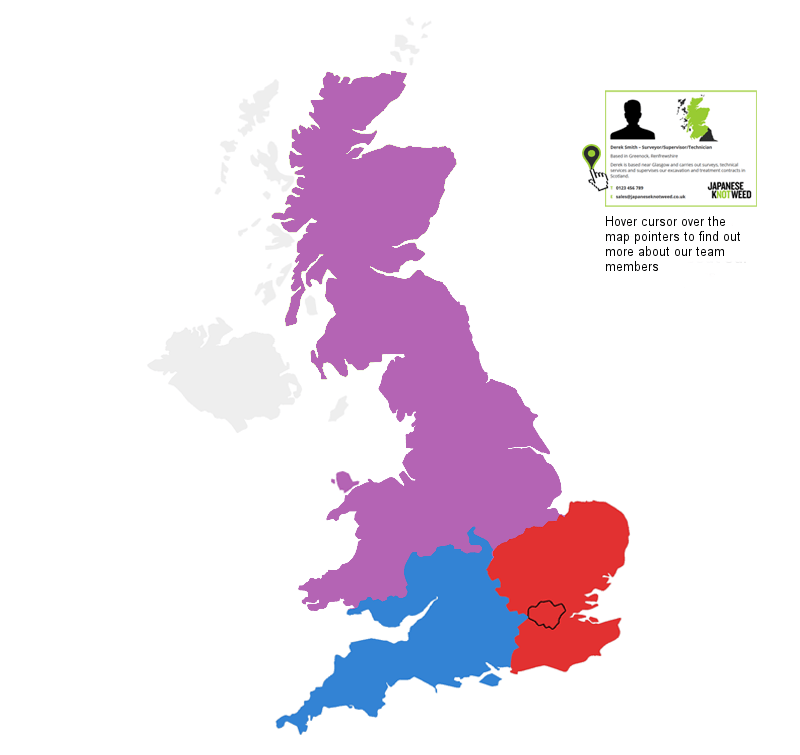 The sellers property declaration form (TA6) asks the seller to declare if the property is affected by knotweed. If the answer to this questions is ‘no’ or ‘don’t know’ then it’s a case of caveat emptor (buyer beware). If the buyer is unsure they should commission a HomeBuyer Report, Building survey or specialist .